How do I get freelance editing work in the trade publishing sector? This week’s reader question is from Pritti, who’s already secured publishing work but wants to move out of her science commissioning role. Lack of practical experience and relevant qualifications are holding her back. Thanks so much for allowing this to be a open forum/platform for beginners like me to ask questions! I am a 23-year-old law graduate who currently works as a commissioning editor for a online science publishing company. However, even though this has been a 'foot in the door' type of position, my heart is really set on going into trade publishing and becoming a freelance editor. Not only that, my position here as a commissioning editor isn't what it actually says on the tin – it's more on the commissioning side of things rather than editing. In fact, I do no editing whatsoever, in my opinion! So I feel like I'm not gaining the necessary skills I need for the industry. I was thinking that obtaining a well-recognized qualification would help get me noticed, as my ultimate goal is to become a freelance editor – but without gaining the necessary experience in my current role, and without the qualifications, I do feel like I'm at loss here. I've also applied for a number of roles but been unsuccessful owing to my lack of experience. Freelance agencies have also rejected my application for the same reasons – not having enough experience. Furthermore, there's also no way of acquiring clients where I work. Please help! Thanks so much for your question, Pritti! I accept that your current role won’t give you the practical experience you require because you’re in a commissioning rather than production role. However, I don’t think that needs to stand in your way of embarking on training that will prepare you for developmental editing, line editing, copyediting or proofreading in a freelance capacity. No training provider will turn you away because you don’t already have the experience! The UK’s Society for Editors and Proofreaders, for example, offers a suite of online training courses designed for novices and experienced professionals alike. I wonder whether because you’re working in-house you’ve got yourself into a mindset of thinking like an employee. If want to work as an independent editor, you need to start thinking like an employer (of yourself). That means sorting out everything for your business from your training to marketing to administration. My first piece of advice is therefore to sort out the qualifications issue. 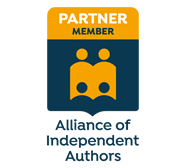 I’ve covered this in several previous Q&As, so take a look at the articles and the list of national editorial societies below. You haven’t told me where you live but there are several distance-learning options available (in Canada, the US and the UK, for example). Q&A with Louise: Can a teacher get work as a proofreader, even with no publishing experience? Why should you bother with professional proofreading training? Once you’ve acquired the practical skills, you’ll be in a position to begin the journey of acquiring work. Again, though, I think you need to shift into the mindset of a business owner. You told me that you’d like to work in the trade publishing sector. The term ‘trade’ refers to the publishing of materials for a general audience. If you want to be found by, for example, independent thriller writers, you’re going to need to be visible, and that may take time while you build your portfolio and your SEO. If you want to do freelance work for trade publishers (for example, Pan Macmillan or Little, Brown) you’ll might well struggle until you have more experience under your belt (unless you get lucky). I think this is something you should set your sights on further down the road. In the meantime, focus your efforts on building your freelance business – marketing yourself and practising your post-qualification craft. I always recommend that new entrants to the field focus attention on the market where they’re most likely to stand out. Specialize in what you know first; diversify later. You have a law degree. I don’t. That’s why I’d never copyedit for a law student or an academic submitting an article to a legal journal. And while I have proofread law books for academic publishers, those clients never asked me to copyedit. Your law degree means you speak a language and have a knowledge base that I don’t (and many other experienced editors don’t). You can use that to differentiate yourself. When I began my editorial business journey, I had professional training, a politics degree and experience of working in-house for a social science publisher. I didn’t spend valuable time trying to get my business off the ground by asking Gollancz if I could proofread their SF Masterworks series (much as I would have loved to do that!). Instead, I went and knocked on the door of social science publishers and spent several years honing my craft with politics, sociology, philosophy, economics and media studies books. Over time, new opportunities arose as I became more visible and my marketing efforts began to bear fruit. But it did take time, and while that happened I concentrated on where my strengths lay so that I could gain experience. I believe that you need to do the same. Some academic publishers also have trade divisions/imprints and so the academic work can deliver trade opportunities to the independent editor. I hope that helps you get your thoughts in order, Pritti. If you take things one step at a time, I’m confident you can get to a point where you’re immersed in the trade sector. But I’d recommend building up to it by playing to your market strengths. Louise also mentioned this, but as I read - and noticed the law degree - I was thinking, "There you go! Use it!" When I began my tech writing career, I was selected for a large project at a pharmaceutical firm because of my biology degree. I had no experience I could 'point to' that a multi-national pharma company would consider, but I got my foot in the door (through a recruiting firm placing temporary employees for contracts. You may want to check into that for your industry). From there, they found I had a knack for IT (especially interpreting the help desk jargon for the 'real people' in the office :->) and I built on that to go other places after the contract ended. Small steps. No formal IT training, but - for about 20 years - I worked in various industries as a tech writer in the IT arena. You are going to do a great job at this, but yes ... it will take time. You have a huge head start, though, just because of your degree. I wish you well, K.
Thank you Louise and Kathie for your priceless feedback to my question! I no longer feel inadequate and lost. I will follow through with the advice given and will get in touch to share a testimony! Thanks a million, and all the best to you both!